Over the past 20 years, the global epidemic of obesity explains the dramatic increase in the incidence and the prevalence of type 2 diabetes. The precise reasons that link the two conditions are - blur and yet, excess weight is an established risk factor for type 2 diabetes. Many times, obese individuals do not develop type 2 diabetes. Several genes in your body play a part in causing obesity. A person's genetic makeup can result in a predisposition to becoming obese. This means that that person may be particularly susceptible to becoming obese through experiencing risk factors in their life which include - high calorie intake or high fat foods. Lack of exercise is also another major factor leading to obesity. You may inherit certain conditions such as your general body type that includes where your body deposits fat. Your environment plays a greater role than specific genes in a person's likelihood of becoming obese. This includes what enters your body through food and drinks. It is hence important to maintain a balanced diet and exercise regularly. In order to become a diabetic, there are two factors that need to be present. The first one is inheritance of a predisposition to the disease and the second one is that the environment must trigger a response in your body. Only genes are not enough. It is important to know that Type 1 diabetes has a strong genetic component. Type 2 diabetes usually develops later in life. 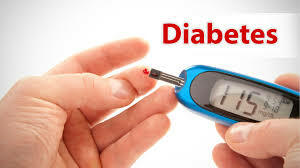 Type 2 diabetes, as mentioned earlier has two man risk factors - obesity and family history of the disease. Family history is one of the strongest risk factors for developing this disease. Especially if the individual is eating wrong - such as a diet that is high in fat and low in fiber. Not exercising could add to the risk of developing this disease. How can you tell that you have diabetes? One of the most common methods to determine if you are developing diabetes is either a blood or urine test. Other than these, you can check if you have developed certain other symptoms such as thirst, unexplained weight loss, excessive hunger and frequent urination. Other factors that you need to consider are advanced age or sedentary lifestyle and high blood pressure. In conclusion, obesity seems to be one of the most important and a major independent risk factor for developing type 2 diabetes. Diabetes is also the leading cause of other ailments in the human body such as kidney failure, non-traumatic lower limb amputations, blindness, heart diseases and stroke, high blood pressure, dental diseases, pregnancy complications and lots more. Usually, intensive lifestyle modifications and medication can slow down the development of type 2 diabetes. Improved understanding of the heterogeneity of the disease can help increase the awareness and help control the development of obesity related complications. Obesity prevention and treatment will certainly benefit and reduce the incidence and care of type 2 diabetes.